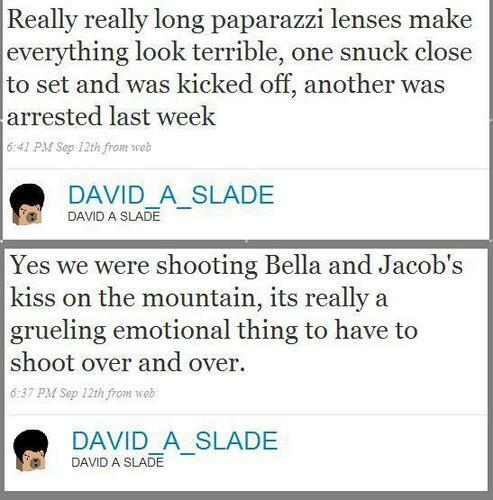 David Slade newest update (bella/jacob Kiss filming). David Slade newest update (bella/jacob Kiss filming). Wallpaper and background images in the la saga Twilight club tagged: twilight bella twilight cast jacob.